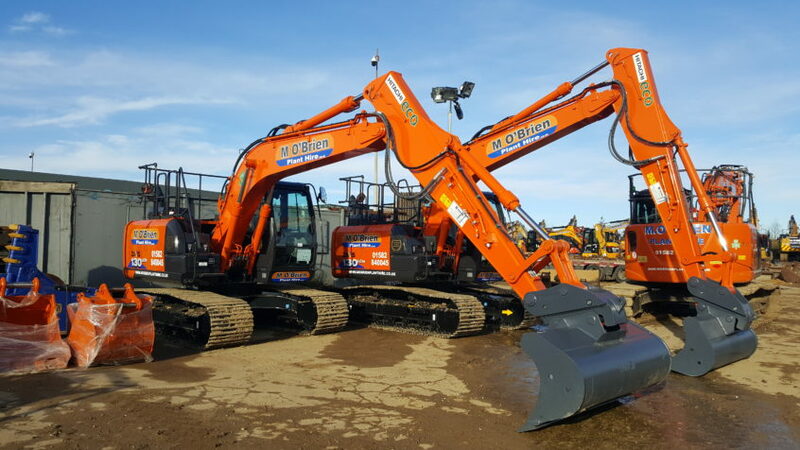 M O’Brien Plant hire has secured its order of 50 new Hitachi excavators for 2018 as part of its fleet expansion programme. The order sees a range of new Dash 6 tier 4 final excavators being delivered through December and January, increasing the firms percentage of tier 4 machinery to 70%. With the Goal to have 90% of the fleet meeting Tier 4 compliance before the end of 2018. The extra machinery will be a boost to M O’Brien Plant and customers across all sectors including; housing, civil engineering and infrastructure will benefit from the new machinery and the extra efficiency that they can bring to the table. For more information including spec sheets, and our comparison tool, please see the large excavators secion of our website here. What are new features of these earth mover hire equipment?